Improve recruiting, fundraising, community engagement and look great while doing it. 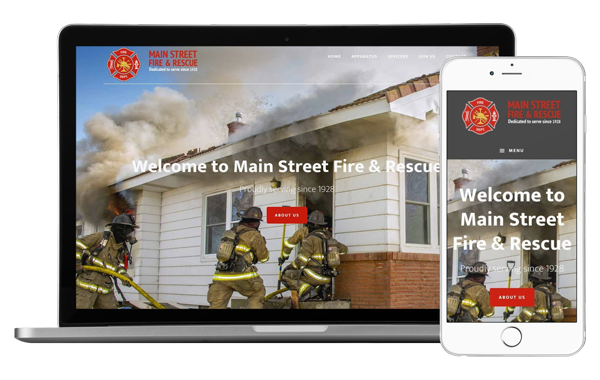 Our modern fire department website templates look amazing and adjust automatically to fit any screen size. Just choose the one that best fits your needs. Whether you need a new logo, flyers, business cards, Facebook cover photo, or all of they above? 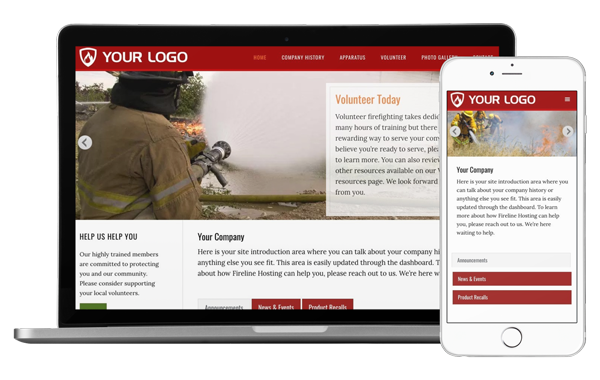 Let Fireline Hosting create fresh designs that represents your fire department and your community. Ask us how we can create the perfect design for your situation. Included with our Premium website package, our online donation form makes it fast and simple for your community to donate, making it far more likely that they will. Automatically publish posts from your website to your Facebook and Twitter accounts, saving time by not having to repeat the same process on multiple platforms. Google recognizes the value that nonprofits, like your fire department, provide to local communities. So they’ve made their entire G Suite product line free for nonprofit 501(c)3 organizations. Let us help you determine your eligibility and help get you up and running. We promise to redefine the role of a web host by providing service and support that is unmatched by other hosting providers. 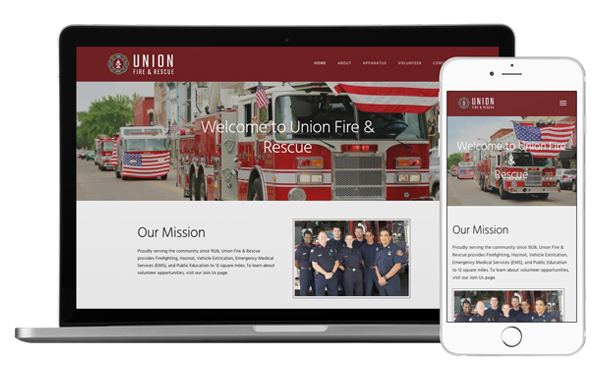 Our easy-to-update website templates adjust to fit any screen size and come with a dedicated team of professionals who are ready to help day or night. Can Google for Nonprofits help your fire department? Fire Departments of all sizes have been taking advantage of the Google for Nonprofits program, using G Suite to improve their communication and productivity. Let Fireline Hosting help you determine your eligibility for the program at no cost to you. We'll also setup and support your G Suite environment, removing all the frustration typically associated with maintaining the system. Together we’ll create a reliable, secure and mobile IT solution for your fire department.